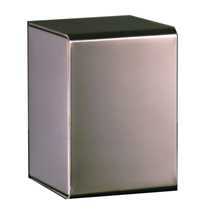 Hepburn Superior offers one of the widest selections of urns for children. 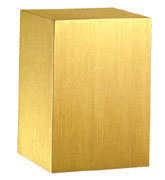 The collection consists of bronze, stainless steel, porcelain and hardwood. 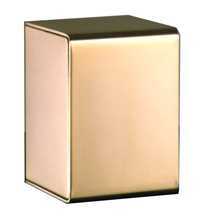 Bronze cube with little boy. 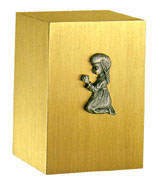 3" x 3" x 4-5/8"
Bronze cube with praying hands. 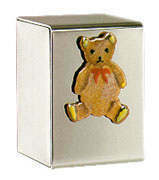 Bronze cube with little girl. 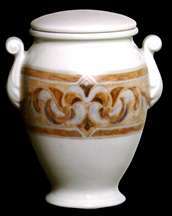 Small white porcelain vase with handles. 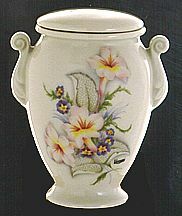 Small white porcelain vase with floral design. 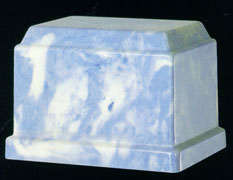 Small light blue cultured marble urn. 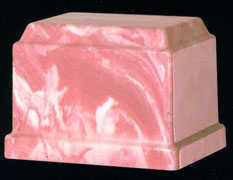 Small pink cultured marble urn. 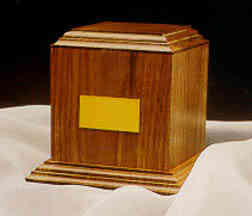 American black walnut with base. 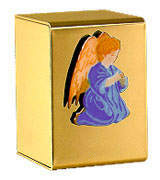 24K Gold plated with angel. Small bronze vase with gold medallion. Small bronze vase with flowing lines.